The Fraser Valley Real Estate Board awarded Tamlin International Homes the 2012 Commercial Building Award in recognition of our Excellence in the Renovation/Restoration of our office. Our custom post and beam facility in Aldergrove incorporates “state-of-the-art” technology such as an underground geothermal heating and cooling system as well as Eco-friendly “soya based” spray foam insulation which provides over R40 energy efficiency. With an air re-circulation system that brings in the fresh air continuously and is preheated by the air leaving the building, heating and cooling our building is all but “free”. All of the windows that were installed in our building are LOW “E3” coated with argon gas and have a special optional “NEAT” glass that allows the water to trickle off with a simple washing. Bonus – our windows stay nice and clean throughout the seasons. Tamlin’s contribution to the local environment also includes a special water catchment system and “gravel” driveway which actually contains the rain water runoff to save our environment from overflows. 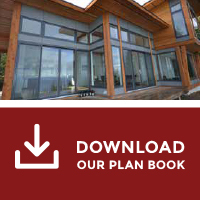 If you would like more information about how you can integrate the latest energy efficient features in your custom home call 604.856.1190 or reach us via email at [email protected]!